Between a trip to Guatemala, hanging poolside in Austin and working in the garden, my skin has been exposed to the scorching summer sun a lot lately, which would be fine...if it were so darn fair. It seems my Irish genes won over the Italian when they were working out who would control my epidermis, and as a result I burn, baby. 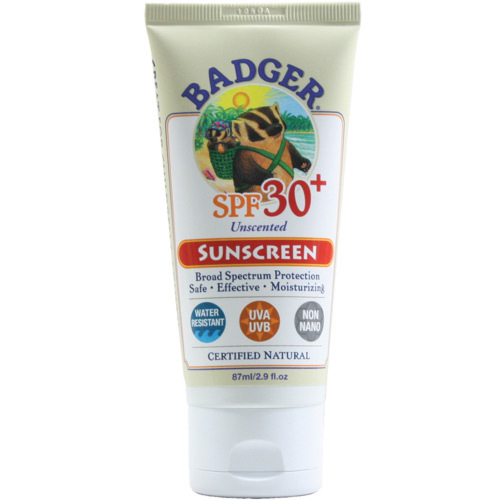 So lately I've been researching sun care products, preferably as natural as possible, and absolutely not tested on animals. 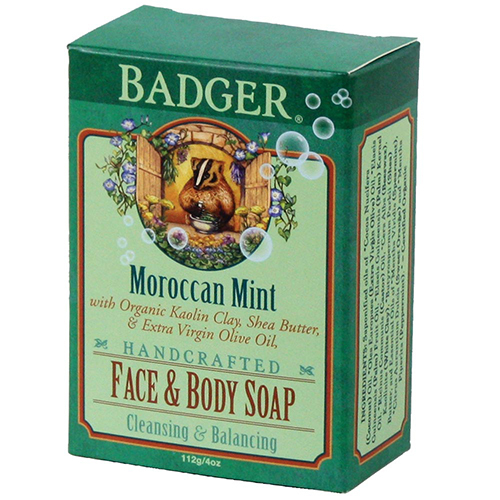 I'd heard several rave reviews about Badger, so I hopped over to their site to check things out, and I think I might have found a new love. Not only do they have lots of sun care options, but also soaps, balms, body oils, lip care and products for the wee little ones. The company is family-owned and -run in New Hampshire, started in 1995 by Bill and Katie, along with their three daughters. Now, 16 years later, they employ 40 people, consistently give back to their local community through volunteer work, donate a minimum of $10,000 a year to nonprofits and strive to "run a business that is fun, fair and profitable; where money is fuel, not a goal; and where our vision for a healthier world finds expression through the way we work and through the way we treat each other and the people we serve." That's something I can get behind. 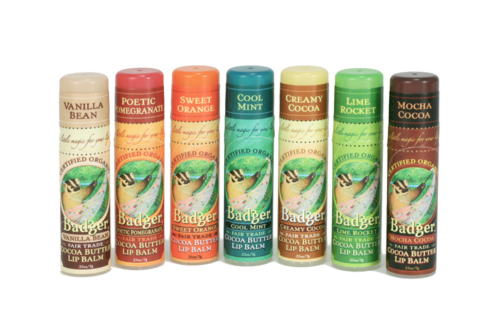 To learn more about Badger, check out their website, find them on Facebook, and follow them on Twitter! I am of the fair persuasion myself. If I look at strong sunlight I end up looking like a lobster. I am going to have to check these products out they sound fabulous!